With AEQ231 you get precise and reliable sound-shaping control. It’s built to last and perfect for any pro audio application, offering the essential EQ features you need for either straightforward spectral balancing or enhancing particular sonic characteristics. Use it for studio recording, live sound and everything in between. 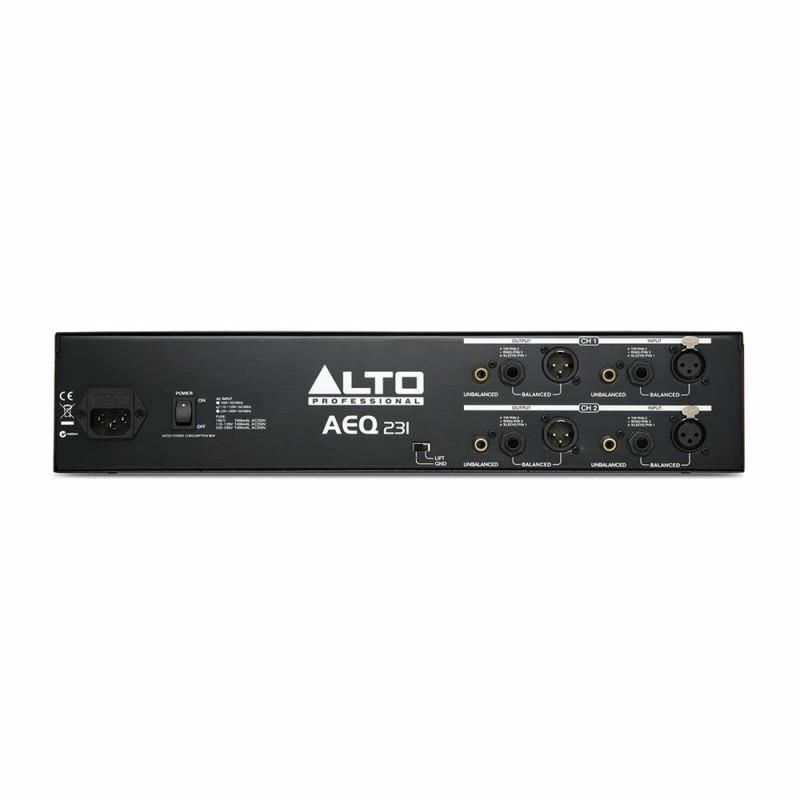 This stereo 31-band graphic EQ has a 117 dB signal-to-noise ratio and an all-metal design. What’s that mean for you? — ultra-low-noise frequency control in a rugged package. 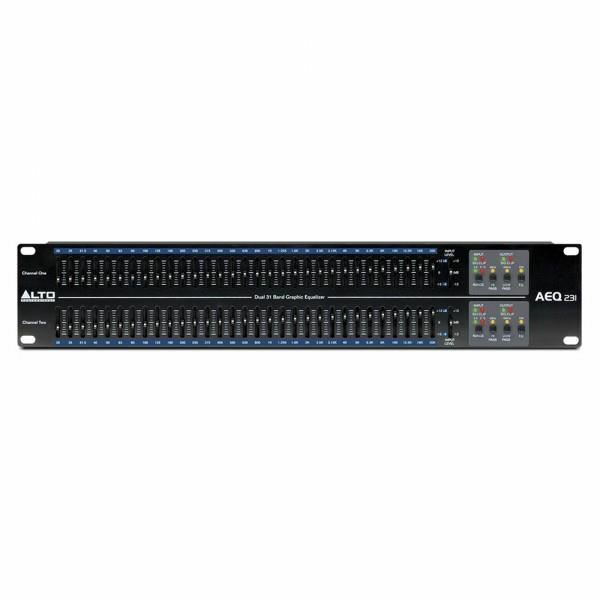 AEQ231 also features balanced XLR, 1/4” TRS and RCA input and output connectors, fixed high-pass and low-pass filters, variable input level controls, and constant Q filtering, which gives you accurate and predictable EQ response. 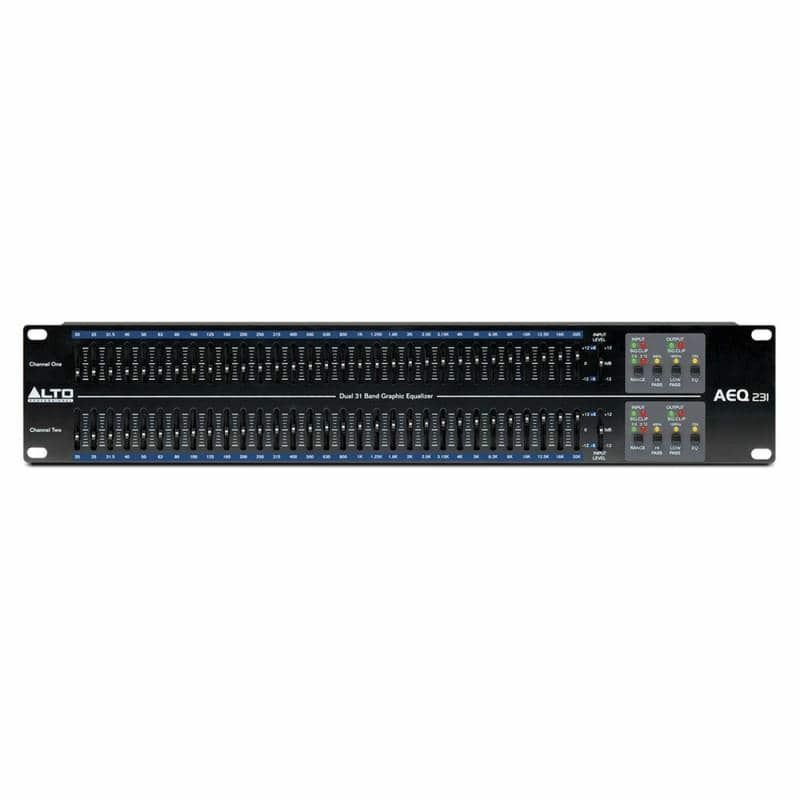 AEQ231’s bands are spaced 1/3-octave apart and it offers selectable boost/cut ranges of 6 dB or 12 dB for detailed gain control. Amplifier Keyboard Roland KC-350Amplifier Keyboard Roland KC-350 merupakan amplifier keyboard berdaya tinggi 120 Watt yang sempurna untuk studio dan gigs. Dengan 4 input stereo, input mik dan input Aux, model flagship ini didesain khusus untuk para pemusik.Fitur:Speaker 12" berdaya 120 Watt dan twee..
DBX 266xs Compressor / GateBring a more professional sound to your mixAdding a dbx® 266xs Compressor/Limiter/Gate to your live sound rig or studio gives you more dynamic control to help create a more polished, professional sound. Having compression in your audio chain gives you the ability to smooth..
Yamaha BR10 10" 2-Way SpeakerWhile maintaining the great sound of the Concert Club series, the BR series provides cost-effective speakers in three configurations to match a wide range of applications. Inheriting the excellent portability and placement flexibility that characterized previous models i..
Geisler Karaoke OK-5500 Karaoke PlayerCONNECT TO TOUCH SCREENMICROPHONE INPUTKEY CONTROLVCD ADD SONG..
Subwoofer Pasif Alto Professional SX SUB18 18-inchSubwoofer Pasif Alto SXSUB15 dan SXSUB18 telah secara khusus dirancang untuk menghasilkan suara yang halus, low-end dalam kisaranan 35Hz-200Hz.SXSUB15 dan SXSUB18 adalah subwoofer pasif yang menawarkan driver LF 18 "besar dan driver LF 15" dengan 160..